…because I am on vacation. After bouncing out of bed like a kid on Christmas, I made it to the airport! George (the platypus) and I to got a pumpkin spice latte and the salumi plate from Surdyks (to go that is) before boarding. Cause that’s just hot Betty travels, in style. 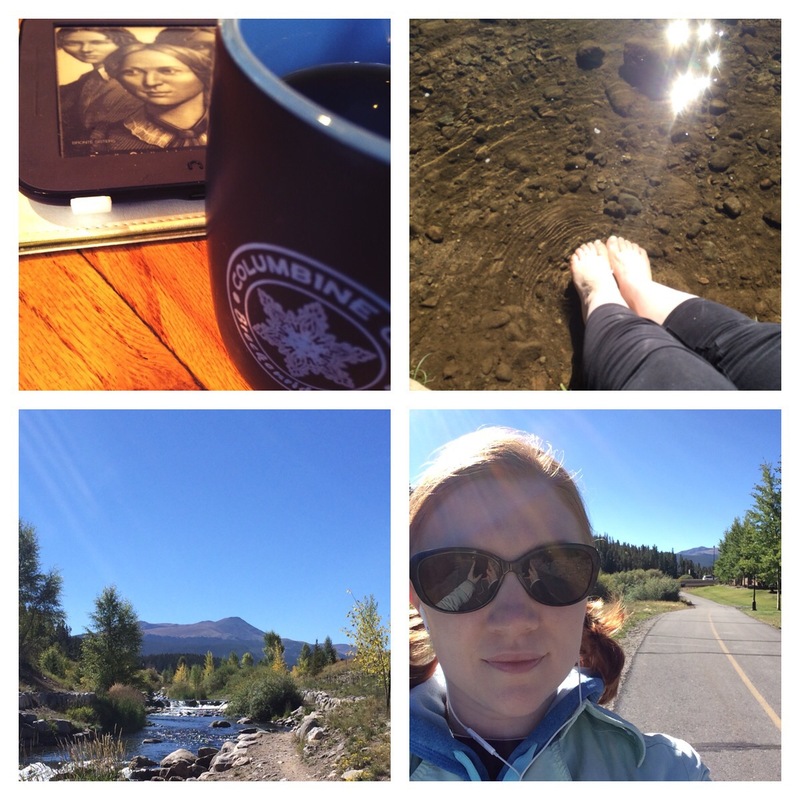 The trek from Denver to Breckenridge was an adventure. 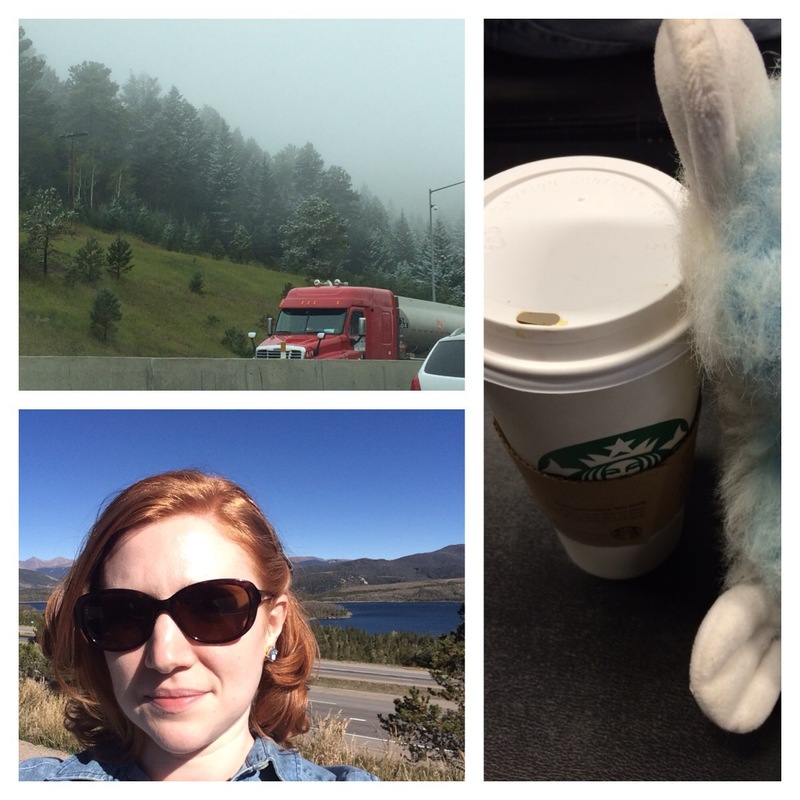 Steep grades, tunnels, foggy conditions, and crazy drivers. For the record, I am not sure what more scary. The fact there are runaway truck ramps, or how recently they had been used. Oh and Colorado DOT, you are one funny group of peeps. Love the signage. The views along the way took my breathe away, though that might have been the altitude too. Either way, breathless! 1 – why were so many people wearing chicken hats? 2 – if you don’t have dreads, can you still fit in here? 3 – how sick will I get if I eat that? After breakfast with epic people watching I decided to go for a stroll. My walk raged out of control. I meant to just go a couple of miles and ended up doing 5. But see the assortment of photos below and tell me you wouldn’t have done it too!! !